The Quiz Bowl Team practices last week. The team competed in two national tournaments over the last two months. The University of Chicago College Bowl Team won one national championship and placed second in another over the last two weeks, breaking a five-year national title drought. Chicago’s team came in second place at the Academic Competition Federation (ACF) Nationals this past weekend. They won both DI and DII at the Intercollegiate Championship Tournament (ICT) the weekend before last, their first national win since 2010. 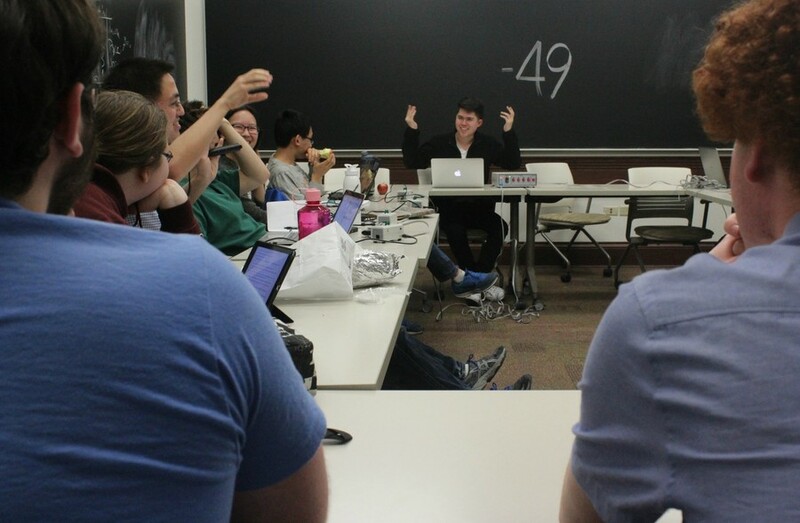 The ICT, held by National Academic Quiz Tournaments each year, is a collegiate level quiz bowl tournament. According to Chicago team captain Maximilian Schindler, DII provides inexperienced new players an arena in which they can compete against other developing teams. DI provides experienced teams with high-level competitions. The Chicago A Team and B Team won ICT titles in DI and DII, respectively, on the weekend of April 9 at the Hyatt Regency O’Hare. Two individuals, one in Team A and the other in Team B, also scored all-star titles in their respective divisions. The 2016 ACF Nationals took place this past weekend at the University of Michigan. The four Chicago teams performed steadily in their respective groups and managed to stay in the top eight all the way through. The Chicago A Team was in the top two through every round and came in second in the final rankings. The ACF Nationals, which took place this past Sunday, is another renowned national collegiate quiz bowl tournament. Unlike the ICT, there are no division distinctions in the ACF Nationals.